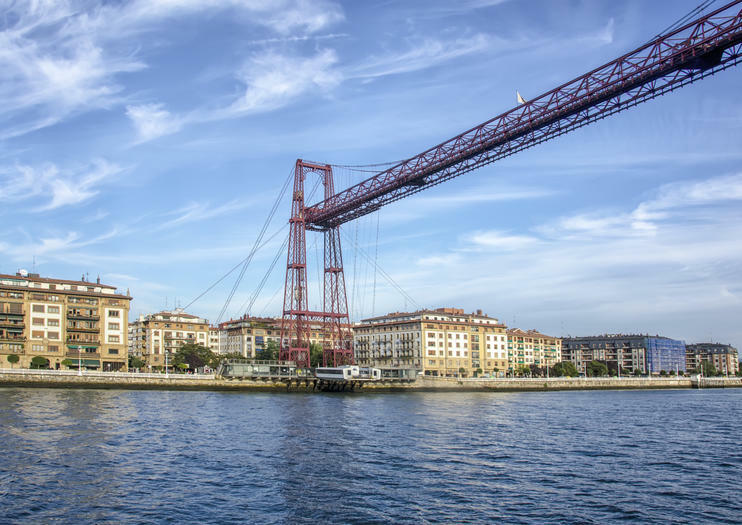 This transporter bridge is the oldest in the world and the singular UNESCO World Heritage site in the Basque County. Built in 1893 and made of iron, it is considered to be one of the greatest engineering feats of the 19th century and a symbol of progress in the Industrial Revolution. It links the towns of Portugalete and Las Arenas high over the Ibaizabal River. Designer Alberto Palacio brought engineer Ferdinand Joseph Arnodin in to the project to connect the two towns without disrupting the shipping traffic of the Port of Bilbao. Much of the iron used to construct the bridge was mined in nearby areas, while the lightweight steel twists designed by Arnodin were the first of their kind. It is recognized for its industrial heritage and combination of beauty and functionality. At 164 meters long, the bridge still transports cars and passengers every eight minutes using a suspended gondola. Visitors can take a lift from a few of the bridge’s pillars to walk out onto the platform and take in views of Abra Bay and the port. Vizcaya Bridge is situated close to Bilbao. To get there, take the Metro to Areeta / Portugalete. There is a guided audio tour available in English that costs 9 Euros.